Hillslife Church has been exploring what it is to be a Christian; as the word seems to have been diluted in its power, its weight. Last month we looked at the clothing label Christians, those who lean in (put on more clothes) when times are tough, but when life is smooth – well who needs prayer, Church, God? Another group wear their Christianity like make up. Unfortunately far too many people outside the church meet this type of Christian. Make up is a concealer, it smoothes out the wrinkles, it enhances our better features and hides the parts we would rather not highlight. How often as Christians are we quick to highlight another’s weakness or sin, and yet happily conceal our own? Far too often we in the Church are quick to judge a non believers behaviour and yet ignore the actions of our own. Or we highlight a specific area while ignoring another. 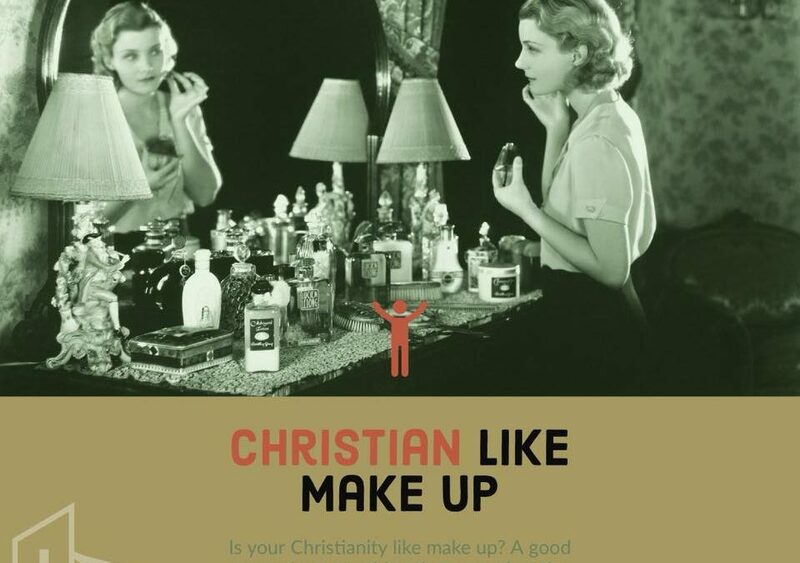 Are you in danger of being a Christian like make up? Quick to jump on another’s sin but not acknoweldging how broken we are? Romans 3:23 reminds us, “for all have sinned and fall short of the glory of God”. Our Christian faith is not about removing our blemishes, our weaknesses, rather we should highlight them! As a Church, as a Christian, I encourage you to remove your make up. To stop concealing our true selves and acknowledge that we are made perfect through Christ. By our own strength we too remain as broken, as hopeless, as wanting as everyone else in the world. Yet when we embrace grace we inherit the freedom and perfection offered through Jesus’ perfect life. Let us not wear our faith like make up – a mask that shields our true selves. Rather be a light of the love found in Jesus and the fruits of Holy Spirit shine through us most likely in our areas of weakness!